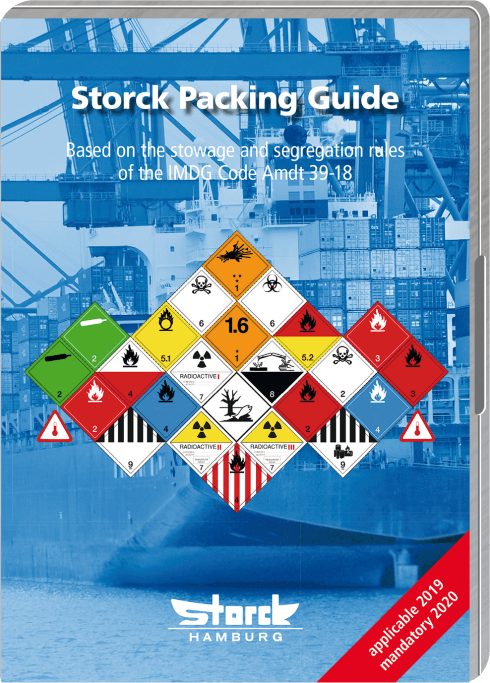 Storck Packing Guide: How Packing of Dangerous Goods in Containers and Aboard Vehicles Becomes Easy! 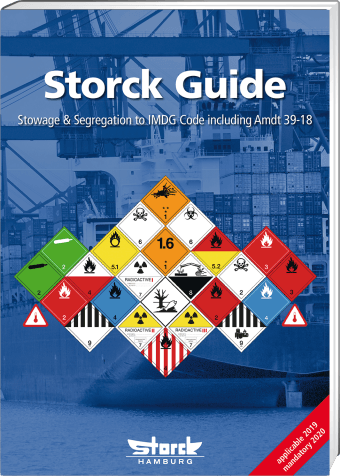 The Storck Packing Guide is a perfect and easy-to-use support for anyone responsible for packing dangerous goods in containers or aboard vehicles. 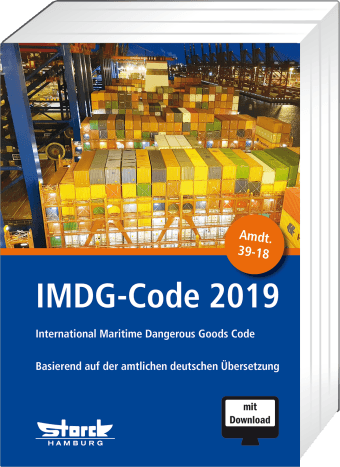 Using it, you can be sure your arrangement of goods fulfills the legal requirements of the IMDG Code! 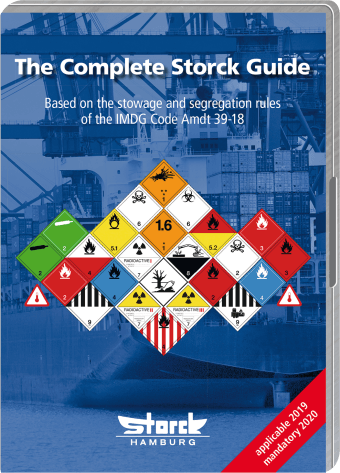 Starting from the UN number or (parts of) the Proper shipping name of the dangerous good in question, the general stowage with other dangerous goods in the same container is checked with respect not only to class restrictions but also to the individual segregation requirements for single goods given in the IMDG Code (except for classes 1 and 7). All goods you prepare for shipping are arranged in a packing list, conflicts between them are shown in red letters. All characteristics and incompatibilities of the goods you selected are shown in just one list. Temporarily move goods to the Parking list instead of deleting them – very useful for finding the best combination of goods in your container. No ratings are available for this product yet. Die CD-ROM kann mit Betriebssystemen ab Windows 2000 betrieben werden. You are also welcome to use our contact form and we will contact you. All prices are given in EURO including the VAT. The prices are valid by the time of order. For delivery to non-EU countries, please contact us. Please note our shipping info.